The Bird of Paradise is my contribution to a wall hanging in memory of Hilary who was part of our Thursday stitching group and sadly died of cancer last year. The Hanging will be made up of six panels stitched by different members of the group. The centre panel of Doves of Peace is being created by Jane using silk painting and various techniques using a soldering iron, which I don't fully understand but it will look wonderful when completed. The finished wall hanging will probably go to Hillary's church in Whitstable Kent, UK. The Sunburst Doily is from Contemporary Tatting by Judith Connors which I got for Christmas from my daughter. 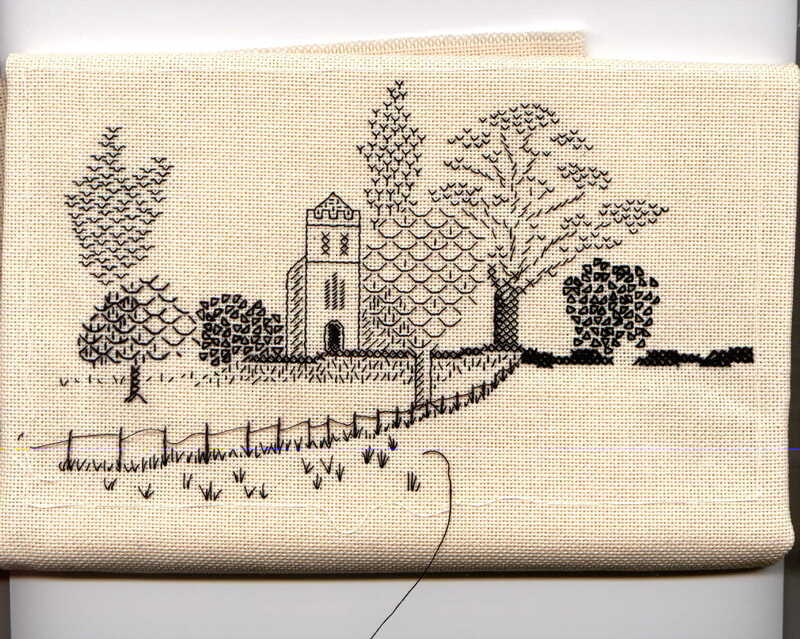 The Blackwork piece of St. Peter's Church is now a finished item in the embriodery section. 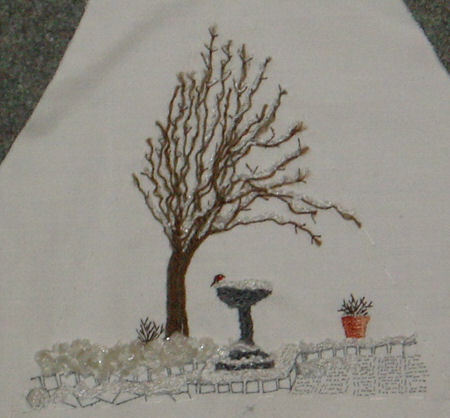 The Winter scene is now a finished item in the Embroidery section. The piano hanging that I'm working on, now called the boring sermon quilt, will be hung over the back of a piano in a Methodist Church, when its finished. 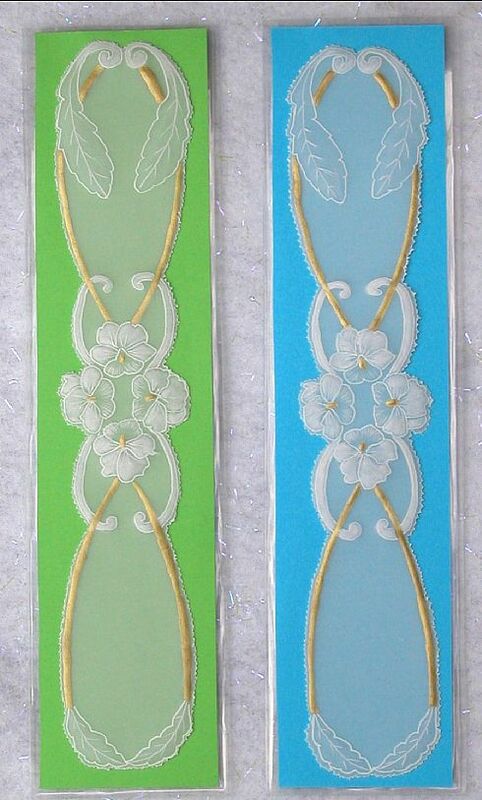 Go to Other Stitchers for more information. Each cat in the Round Robin was stitched by a different forum member on Forums America. I was the first to stitch on this one and it came back to me for finishing off. Each stitcher ends up with a finished piece that everbody else has stiched on. 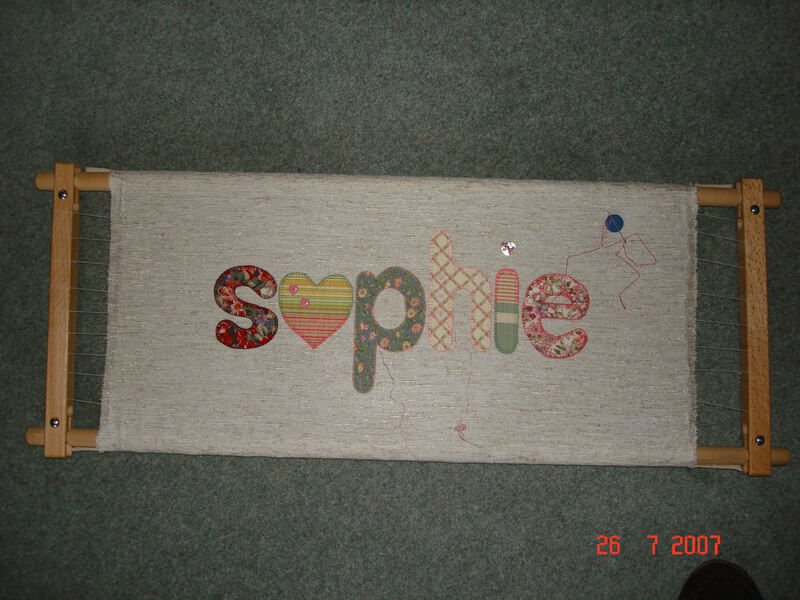 I designed the piece below for my grand daughter Sophie by cutting out the letters of her name and appliqueing them onto slub silk fabric and then embelishing them. 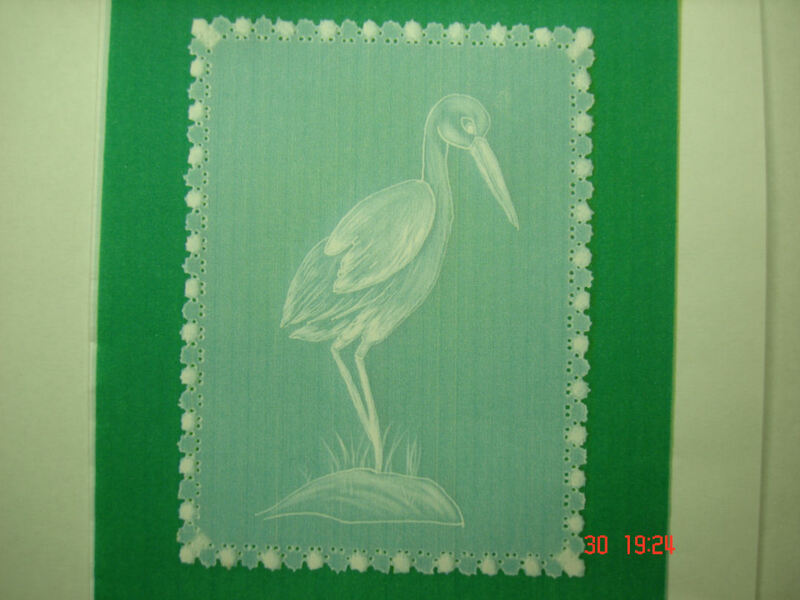 It is being working on an embroider/tapestry frame. 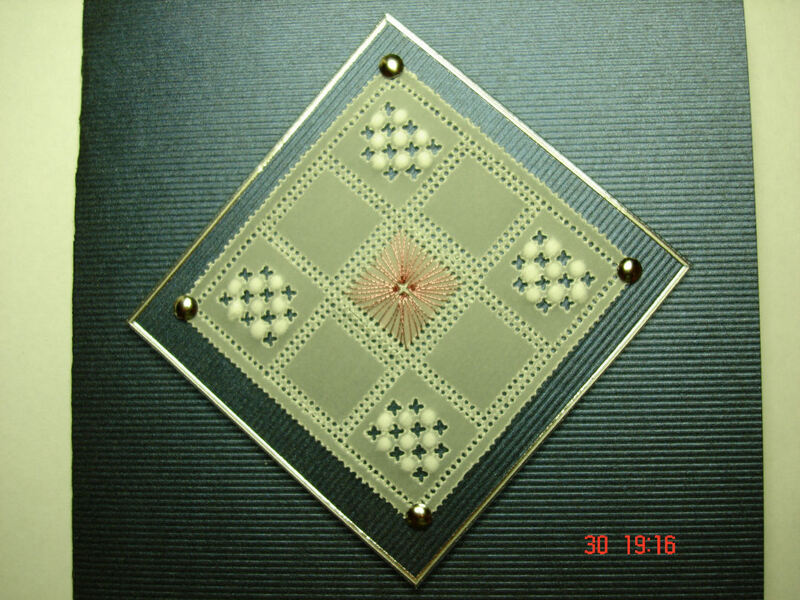 The Sophie piece is now completed and framed and the finished image is in Fabric Manipulation because this is the nearest way to describe the method used. The Six Little Bears is from a pattern called Country Folk by Brenda Walker. finished size is 17" X 10". Now finished, see Fabric Manipulation.